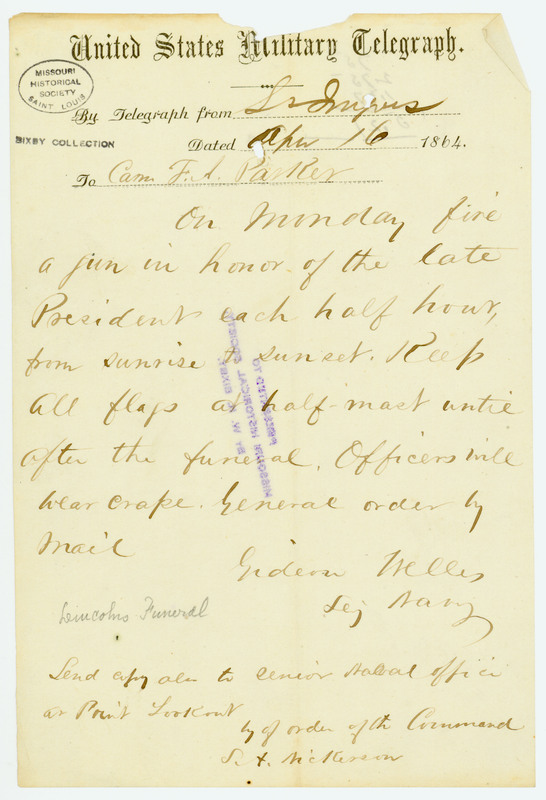 States, "On Monday fire a gun in honor of the late President each half hour, from sunrise to sunset. Keep All flags at half-mast until after the funeral. Officers will wear crape. General order by Mail. . . ."